Work for Azure Face API? Learning about Azure Face API? "Azure Face API - Simple API to Face Recognition"
Definitely this is an upcoming area for the Microsoft Azure Cognitive Services. Will definitely recommend to all developers to try this once as Microsoft provides a 30 day trial for these services which will help us to understand the scope and level of usage of these services for our applications.These services are really useful for applications which have validations of images/ photos against any id proofs or to search image against social accounts of the specific user. In Face API services itself, there are group based and person based api's which also can be useful when we have multiple photos of the same person to be stored and need to compare against list . Apps for Staff recruitment firm. When a user uploads his/her id proof , it is validated against the user's profile pic which will avoid the manual intervention of getting these validations. "Easy to use Facial Recognition API"
Azure Face API is an amazing tool because it allows developers to incorporate facial recognition technology in their software without requiring them to know anything about machine learning or computer vision. Developers who already use the Azure platform will be able to use this API within minutes. Simply send the picture(s) you would like to analyze in an API call, and Azure will return information about the faces in that picture as JSON. This is useful for recognizing facial expressions, emotions, and comparing faces. The age estimation feature isn't very accurate yet. However, as time goes on, this will hopefully get better. I use this API for a personal/school project where I wanted to activate a motor when a specific face was recognized. "Microsoft Azure Face API Review"
It is very easy to use. The documentation is very clear and easy to read. Integrating this API into my applications as well as calling it works flawlessly. The response it gives back is also very easy to use. Overall great API. 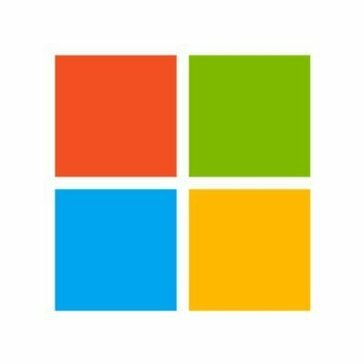 I honestly have no dislikes, Microsoft API's are always well done and easy to use. I have never had any real problems with using them. I recommend just trying it out. Honestly the documentation has everything you need to get it working. Also there are alot of videos and tutorials online that anyone can use. Overall I would definitely recommend anyone that wants to use this to just try it. I have used it to solve facial recognition issues with the applications I am trying to use. Ive made countless camera apps and apps to take picture and recognize facial expressions with this API. "Easy to integrate with small projects"
I have integrated the Azure face API with my hackathon application, and it was amazingly simple to follow the instructions. That it doesn't have all the functions needed. Sometimes it would just not work and freeze on me. Also, it can be a bit buggy and I would have to find a different solution to it. I would possibly recommend this to others if they can't find a better program and is in desperate need of this kind of software. However, if there were to be a better program, then I would not. That it doesn't have all the functions needed. It also just doesn't have the top performance that we need. 1.This application was made easy to integrate with other applications. 2. Reduced error rates on facial recognition for men and women of darker complexion. 1. Bad quality images or images at an angle still had issues with identifying faces. Use this API over others if you need to identify people with darker complexion! My team and I used this API to implement emotion recognition for in store customers when they are looking at a certain item. Based on this, we analyzed the correlation between facial emotions and the likelihood of a customer buying a certain product. The biggest benefit I saw in using the Azure Face API is that it returns the confidence across a set of emotions for each face in the image. The idea that it could detect a person's age and gender is interesting in itself, but the aspect I find most intriguing is how it can detect human emotions. Using this Face API can be beneficial to many companies. It cannot detect faces in videos. The maximum size of an image is 4MB. I think there should be more than 27 facial landmarks. Definitely keep an eye out for the "preview pricing" when using Azure Face API. A business can use this for customers who create accounts and upload their profile image to reduce the possibility of creating duplicate accounts. This can be beneficial to optimize database storage space when too many duplicate accounts could be created by multiple users. How it can obviously detect your face but I love how it can detect similar faces. Makes it fun not just a security api. That it's a work in progress. Not the best yet but it'll get there. Convenience. Good while driving or if your hands are tied to unlock your phone. Comparing photos submitted by users to photos found online to validate original images versus stock images. "Recognition ahead of its time "
* We monitor all Azure Face API reviews to prevent fraudulent reviews and keep review quality high. We do not post reviews by company employees or direct competitors. Validated reviews require the user to submit a screenshot of the product containing their user ID, in order to verify a user is an actual user of the product. Hi there! Are you looking to implement a solution like Azure Face API?